One detail you might want to raise with your publisher. The book has some stumbles (typos), which cut into the flow. Let me know if you want some ‘for instances.’ Great book and I don’t mean to be a nudge but figured you’d want to know. This is an amazing read. A life long Beatles fan, I thoroughly enjoyed every line of this comprehensive narative. I couldn’t put it down. It reminded me just how much I have missed John Lennon over the past 30+ years. am about half way through your book and for me its the best biography i’ve yet read on my lifelong idol, and I’ve read every major one thats been published in the last 41 years (in addition to the hunter davies ’68 bio)…. you’ve covered many areas that have only been touched upon before and you’ve got inside the man and his songs like never before – very moving! – great also to see ringo and epstein getting the credit they deserve… as said im only half way through….. btw the Roudhouse is in Chalk Farm which is near to Camden and a few miles from kilburn… i work in kilburn… anyway, thanks for the great book…. I’m enjoying the book too; good mix of ‘normal’ biography, psychological speculation and creative response to the music. The sections of Lennon’s childhood were all new to me and his life was more chaotic than I had thought for the one indisputably middle-class Beatle. Tim: tried to reach you before, comment on great new Lennon book: You captured what must have been going on ,both within him and without him, as he was creating. His human contradictions have fascinated me as much as his art. But inspired me to get into music and create my own IMAGINE’s. Just finished your wonderful biography. I grew up on the Beatles. I have been obsessed with their magic, even to the point of traveling with friends in 1975 to London where we visited EMI studio on Abbey Road. It still amazes me that such a plain looking building could have housed such musical magic.But, that being said, I loved your book. Congratulations. wow I can’t wait for this! I fell in love with the Beatles (especially John) from the moment my 12 year old self saw them on Sullivan and the loving has never stopped. If anything, it has grown stronger as I realize how very, very important their music has been to me. Through bad times and good, their music was the one constant in my life. Songs like “Eleanor Rigby” and “In My Life” provoke a powerful reaction that has never wavered, no matter how many times I hear them, and I hope it never will. I absolutely loved your book – just when I felt I had read everything that there was on John Lennon, you pleasantly surprised me. Thank you for that, even though I had to put it down a few times because I could no longer read due to my tears. Your book has definitely given me new insights into the man. He certainly had his faults, as do we all, but no one can deny his amazing gifts which we fans are all the luckier for. Scouse accent – this is nothing like the cockney accent! I am a Londoner, my wife is a Liverpudlian, we speak with very different accents, although to an American ear I guess they may sound similar. Stuart’s bass guitar – although this was a Hofner, it was not the ‘violin’ style later used by Paul (as your early photos of the band clearly show). Keith Richards’ bust: The Redlands house is in Wittering, Sussex, and not Richmond. I hope you don’t mind me pointing these out. I am not a die hard fan, but maybe I’m reading the book from a British perspective. Also, Badfinger weren’t Scottish. 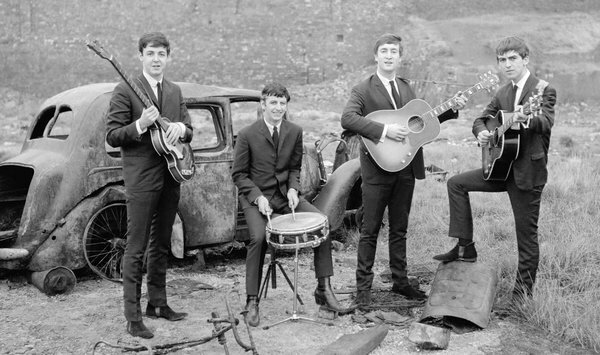 The band that recorded “Come And Get It” were three-quarters Welsh, with a fourth member from Liverpool. What’s the best email/route to contact you on to talk about a forthcoming Beatlemania exhibition planned for Russia.Your participation in this would be welcome but your site does not have contact details. Just wanted to tell you am excited about your new book and will get it when it comes out! Congratulations! !